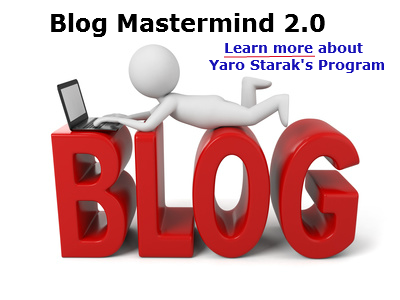 Blog Mastermind 2.0 Review - Joining Yaro's Inner Circle? Home » Affiliate Marketing Reviews » Blog Mastermind 2.0 Review – Joining Yaro’s Inner Circle? Blog Mastermind 2.0 Review – Joining Yaro’s Inner Circle? 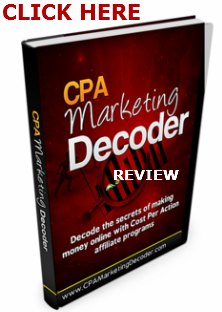 Yaro Starak has been on my affiliate marketing radar for years. Why? He is what I consider the ‘anti-guru,’ someone who truly possesses expertise in his field, provides a systematic way of achieving success (no get rich overnight, push-button methods here), and supports his students. As folks are desperate to find a way to earn passive, residual income, I thought it would be instructive to perform this Blog Mastermind 2.0 Coaching Review. Here, I’ll shine the spotlight on Yaro’s coaching course, detailing what the training includes, its pros and its cons. While this review will primarily encompass the course content, I first have to introduce you to the headmaster. Over the last decade, Yaro Starak has transformed from struggling fledgling to a super affiliate, earning over 7 figures annually. His financial windfall was the culmination of years of fine-tuning his business model. Through sheer trial and error, adapting to the latest search engine algorithms, offering and creating the right types of products/services, and catering to meet his clients’ needs, the Starak Empire has virtually risen from the ashes. He has created many niche websites, establishing a connection with his visitors. Regardless of what niche he targeted – from a game card website to a proofreading site, he always tried to provide value. Unlike so many other fast-climbing affiliates, he seemed to place his visitors’ needs above the almighty dollar. But in the process of serving his loyal readers and customers, consistently clarifying his messages, profit automatically ensued. Now I did not know about Yaro during his early campaigns, but I’ve been a frequent visitor of his primary business and blog for years. There is a wealth of information there via compelling content, informative videos, and enlightening podcasts. He is the king of funneling visitors from his blog posts to his email lists, and ultimately to his own products and affiliate products. While it takes time and out-of-the-box thinking to get that funnel in place, you’ll start seeing how the pieces fit together just from frequenting his Entrepreneurs Journey site. But like all great marketers, Yaro leaves his best strategies and insight for paying customers. He gives you his entire business model, piece by piece, in his Blog Mastermind 2.0 Coaching. Blog Mastermind 2.0 Review – Thinking About Becoming a Student? How enticing is this message? : “Make A Minimum Of $10,000 To As Much As $55,000 Per Month, Blogging Part Time.” With all due respect to Yaro, this almost seems too good to be true, and borders on exaggeration. But he has my full attention, nevertheless. And if I may give him a pass with that headline, I can make an argument that this declaration could come true. However, it’s going to take years of sweat equity for us mere mortals, especially if blogging part-time. However, I’m only speaking for myself and not considering the possibilities of outsourcing which Yaro strongly advocates. But wait … Mr. Starak has an ingenious plan outlined in this 6-month class. In a nutshell, you’re going to see the power of the written word. You’re going to be building a blog, one piece of content at a time and gain the attention of visitors and the search engines. As your blog’s popularity increases among humans and search engine robots, you’re going to simultaneously build a list. As you know, the money is in a responsive list. Yaro will show you how to create a hard-to-resist offer and frame it on an eye-catching and professional opt-in form. You’ll also learn about squeeze pages, landing pages, bonuses, … well, the whole kit and caboodle to increase all types of conversions. So to review, Blog MasterMind 2.0 reveals how to customize your blog, expand readership, and make money in the process. 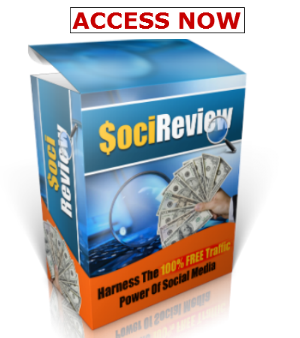 You’ll also see how to create multiple streams of revenue, and monetize offers in unique ways. You’re investing in your education each step of the way, building your business piece by piece. The foundation you get through this type of training is very strong and durable. Yaro’s strategies are not the old, run-of-the-mill kind that you’ll often see on outdated forums. His techniques reflect what is working today, and can be easily adapted to meet tomorrow’s demands. As search engine algorithms, social platforms, and traffic-generating methods change, you really have to be knowledgeable on the latest developments. This training will ensure that you’ll remain on the cusp of actionable knowledge. You’ll have access to the latest information – all which can be used to build a successful blogging brand. Available on downloadable PDF’s, videos, and audio files, the crucial points will come alive. There are complete printouts for those who prefer to learn in a non-digital way. The bread and butter of the course is encapsulated in weekly workshops. These workshops cater to the newbie affiliates’ questions and concerns, and broaches topics for the advanced marketer. New marketers will especially appreciate the videos on basic topics. There is a Member’s area where resources are available, case study interviews of bloggers who are excelling, question and answer sessions, and a host of bonus videos. For example, as podcasts can easily be a cash-generating tool, Yaro offers an ‘Everything you need to know about Podcasts’ mini-course. Workshop transcripts will be accessible, too, and you’ll have quick access to any subjects that require clarification. 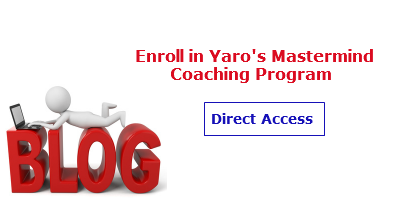 Of course, as a primary benefit, you’ll have direct access to your mentor where you can ask Yaro any question. You’ll also be able to ask questions during live coaching calls. Our friendly headmaster provides 4 such training calls as he tries to over-deliver. You’ll not only learn from your direct queries, but gain from other folks’ questions as well. If you can’t attend, you can email Yaro your questions in advance, and he will provide a response on the call. This is an A-Z, no fluff system where you’ll learn all facets of successful blogging in different formats and in different ways. 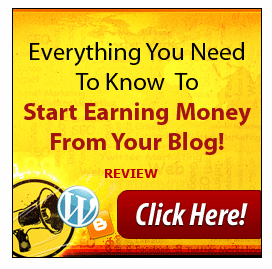 Best of all, you’ll gain invaluable assistance from a veteran blogger who has already made bank. The Blog Mastermind 2.0 course only reopened in 2014. It was last available in 2011. However, in the interim, Yaro continued to fine-tune and expand the course curriculum to make it the best mentorship training possible. He continues to add tweaks even now, when necessary. Registration is open until September 1, 2015. Hopefully, it will be available at the time you’re reading this review. But for those who want to learn sooner than later, August 31st is the rapidly approaching deadline. Workshop 1: How to Set-up Your “Blog Sales Funnel” to Make Money from Day 1 – This workshop encompasses the big picture but allows the student to see the details that are required to be implemented to structure a successful blog. Ultimately, you’re going to solve problems and generate a list of passionate subscribers. Eventually, you’ll sell these subscribers products – even your own. Workshop 2: Email Marketing Mastery: A Step-by-Step Template to Create an Automated Sequence That Sells – There are so many pitfalls and minefields that you can fall into. Here, you’ll be instructed on how to develop a buyers’ list and establish rapport with your subscribers. You’ll receive Yaro’s 9 email templates and see firsthand how he relies on emotional triggers. Workshop 3: How to Create Blog Content That Magnetically Attracts Devoted Readers – Content is still king. By creating compelling content, you’ll win favor with the search engines, and perhaps even more importantly, with your visitors. He’ll review what topics you have to write about, especially in the first month, and how to attract a greater audience with less content. It’s all about your audience! Workshop 4: Advanced Traffic Techniques to Automate Your In-Bound Visitor Flow – Build it and they will come with Yaro Starak’s traffic-generating techniques. You’ll learn how to really capitalize on social marketing and engage in what Yaro calls ‘Conversation marketing.’ In this workshop, don’t underestimate the power of podcasts. The goal is always to go viral. Workshop 5: How to Create Your Entry-Level Front-End Product – This course is not only about developing expertise in affiliate marketing. 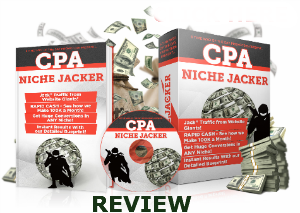 You will soon become a product creator and get your own army of affiliates. Yaro will go over what type of product to create, what to include in the product (via insight from your audience), how to price it, deliver it, etc. Product creation does not even have to take too long and you’ll discover ways to streamline your work of art. You’ll also have direction on follow-up offers to include in your funnel. Workshop 6: How to Turn Your Blog Into a Real Business (Or, How to Work Less and Earn More) – Remember, if you’ve read this review up to here (and thanks for doing so), this affiliate marketing venture is not a hobby. Here, Yaro Starak shows you how to truly build an entity you can be proud of and a brand that elicits good will … and revenue. You’ll know all the steps to ascend to blog heaven, using time more productively than you ever envisioned. You’ll be able to take a critical look at your blog, implement necessary tweaks, and correct its shortcomings. Blog Mastermind 2.0 Review – Any Negatives? As I wrote earlier, I’m not too happy with his marketing headline, mentioning the minimum figure of $10,000 per month you’ll accrue … and only with part-time work. My advice: Forget the amount of potential profit right now. Concentrate on mastering the program and building your blog. The money will follow with hard work and dedication. In Final Review of Blog Mastermind 2.0 Training – Can You Become a Wealthy Blogger and Affiliate? The proof is in the pudding. Many of Yaro’s students have gone on to great blogging careers. In fact, I’m sure his students’ average ‘success rate’ is very impressive. Still, you know what they say about leading a horse to water. Yaro can show you the way to that delicious stream of revenue, but it’s up to you to implement the steps to get to that affiliate promised land. In addition, his information is all-encompassing and current, reflecting what truly works today and is likely to work tomorrow. He provides a viable system that is not difficult to follow. Of course, you’ll have to tailor instruction to meet the needs of your audience but the knowledge itself is relevant and possibly timeless. Yaro will also be at your beck and call. You won’t be alone on this journey, and who better to guide you than a seasoned, savvy marketer? Once you matriculate to Blog Mastermind 2.0 coaching, you’ll avoid the mistakes that other bloggers make. You’ll place yourself in select company where you will optimize the chances to create a wildly successful blog and distance yourself from the 90+% of bloggers who fail and/or give up. So perhaps your first ingenuous move will be to attend this mastermind class. Think of the (financial) possibilities after graduation! Blog Profits BluePrint 2.0, an 88-page free report, available in text and audio, has been tweaked to meet the needs of today’s would-be successful ‘knowledge-oriented marketer.’ If you ever intend to sell your knowledge and expertise, this resource should prove invaluable to you. 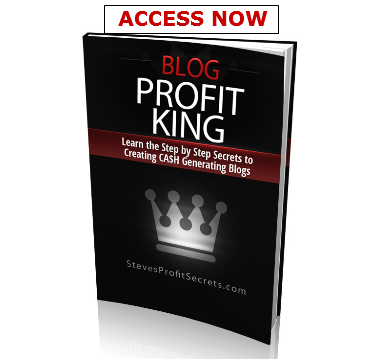 You’ll discover how to turn your knowledge base into a digital ATM machine. You’ll see what type of content can be easily monetized. You’ll figure out how to refine your topic to appeal to a willing-to-spend audience. And you’ll be instructed on how to build ‘traffic assets’ that will enable you to receive an endless stream of traffic. 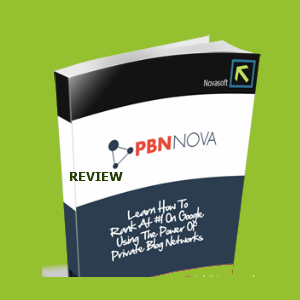 Blog Profits BluePrint 2.0 will enlighten you on how to build a digital commodity and a buyer’s list, using a rinse and repeat formula. As an added bonus, you’ll receive free training videos that demonstrate how you can transform your blog into a financial asset. Who better to learn from than Yaro Starak, a millionaire who has made his fortune online.